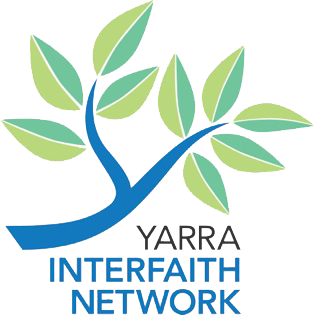 Yarra Interfaith Network, supported by the City of Yarra, held an event at the Richmond Town Hall on 16 September 2105, to raise awareness of and reflect on Domestic Violence in our society today. 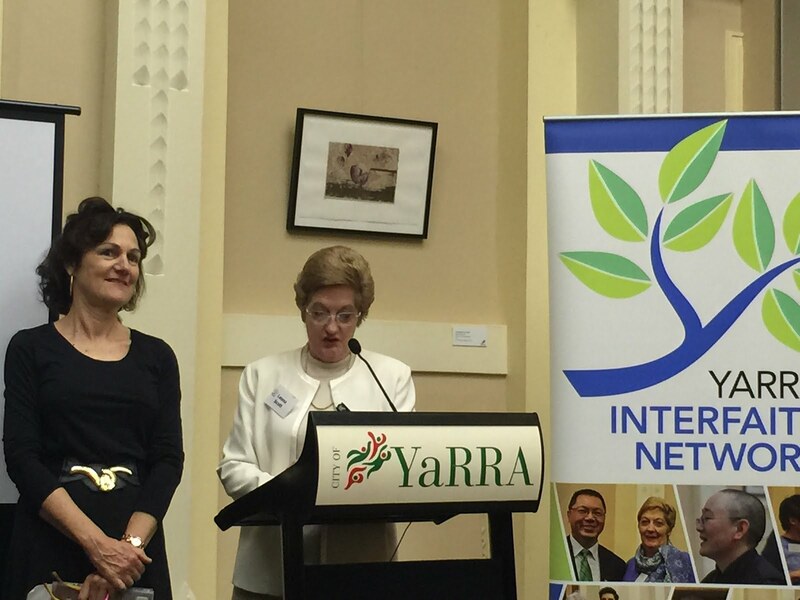 The event was well attended by many from the local community and interfaith connections from across Melbourne and regional Victoria. Leona Scott, from The Church of Jesus Christ of Latter-day Saints (often known by the nickname 'Mormons' conducted the event and Michaela McCarthy, from the Religious Society of Friends (Quakers) gave a very moving recognition of the traditional Wurundjeri custodians of what is now the City of Yarra. Two outstanding guests presented passionately on this issue. Phil Clearly, a White Ribbon ambassador, former AFL footballer, coach, commentator and Member of Parliament, who has felt the terrible effect of violence against women through the murder of his sister, spoke powerfully, sharing moving excerpts from his family members. Phil reflected on the positive progress that has been made in addressing violence against women but reminded all present of the role everyone has to play in changing attitudes and that we, as a society, can't just rely on the state to drive change. Phil suggested there is a need for all members of society to overcome any lack of vigilance we encounter and that we should always be seeking to break with what stops us from growing. Maureen McCarthy has written a number of award winning novels and a TV series and spoke about her novel Stay with Me, the unforgettable story of a young woman finding the courage to escape her present, face her past and embrace her future. The lead character is inspired by a young woman fleeing domestic violence, that Maureen had a chance encounter with on train. Maureen also related tragic personal experiences from her ancestors and the lasting impact that violence against women has. The evening concluded with a special appearance by the KeyTones, a community choir, who performed Stay with Me, and an old spiritual, The Storm is Passing Over. Leona then invited us all to reflect on the part that we can play in helping the storm of domestic violence pass over.